Hainan Airlines promotion code: save on all flights £50 / €50 / $50 or its equivalent! Good news for anyone planning to use service of Emirates, one of the most respectful companies in air industry! This carrier has just released brand new global sale offering discounted flights to selected destinations in Africa, Asia or Australia. You can fly from London (Heathrow, Gatwick and from 8th of June also Stansted). Newcastle, Manchester, Glasgow or Edinburgh. The cheapest deals are available from London adding approx £30 you can also depart from other UK cities. 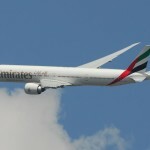 Below you can refer to complete list of Emirates discounted flights as well as few samples of the most attractive offers. For instance you can book return flights including all taxes and fees, in-flight meals and luxurious on-board service of top ranked Emirates to Dubai for £319 (Non-stop flight). also to India (New Delhi, Mumbai, Ahmedabad, Chennai, Kolkata) for £359 or Bangkok, classic destination in South East Asia from £429. How about exploring incredible Philippines this year from £489 (Look for flights to Manila, Cebu or Angeles City). or you can fly from the UK airports Down Under already for £629. (Round trip flights to Perth, slightly more expensive to Sydney, Melbourne, Brisbane of Adelaide). *UPDATE* – This offer has expired. You can find latest Emirates promo code here.